Creating valuable content is one of the most important tasks of any marketer and blogging should be a top priority for B2B marketers. 67% more leads get marketers that use blogs than those who don’t. 81% of U.S. online consumers trust information and advice from blogs and 60% of users feel more positive about a company after reading the company blog. With the current overfilled blog marketing space, it can be very difficult to stand out from the crowd and build an online audience that is engaged with your brand. 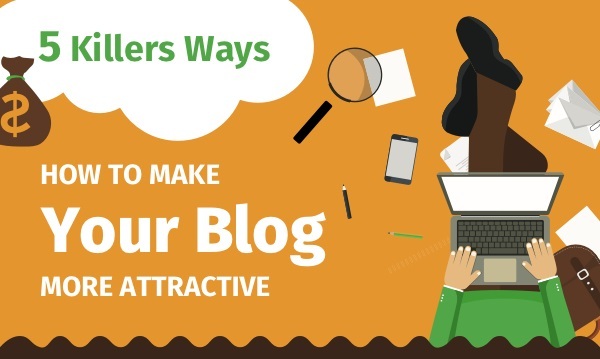 How to create the blog more attractive and get more traffic?